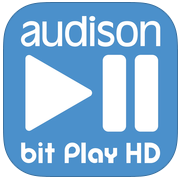 The Audison bit Play HD App is an application providing the ability to control the Audison bit Play HD multimedia player through the WI-FI network of your smartphone or tablet. Once you install the bit Play HD player in your car, you can control the bit Play HD player to listen to music stored inside of it through its internal SSD or through the USB mass storage devices connected to the USB plugs. Through the Audison bit Play HD App as well as the Apps using the DLNA protocol you can select and start playing a musical track, adjust volume and manage playback controls. Only with the Audison bit Play HD App you can transfer files between the USB mass storage devices or within the internal SSD. The new Audison catalog is now available here for the online viewing and for download. The updated catalogue features the complete 2018 Audison product range, take a look and enjoy it!